HAPPY NEW YEAR you lovely lot!! As it's now 2016 (can you believe it? ), it's time to look back at last years resolutions and also think about my goals for the year ahead. I always think it's so fun to look back on what I wanted to achieve this time last year to see if I actually did the things I wanted to do. I also think the end of a year is a great time to reflect on the past twelve months and also set yourself new goals for the year ahead. I can honestly say that although there was a few low points earlier in the year, 2015 has been such an amazing year for me and I'm the happiest I've been in a long time. I started the year being totally unhappy in my job - I was totally unappreciated for the work I did and the effort I went to which left me with absolutely no job satisfaction or motivation to put my all into something where I was getting nothing back in return. I always knew working in the fashion industry could be 'bitchy' shall we say but when you work with people whose actions bring you to tears on a regular basis, you know it's time to move on. After a few more miserable months, I left said job and had some time out to myself. I then got another job and whilst I was happier there and still work with the company now as a blogger, I knew something didn't feel right. I wanted to do what I was passionate about every single day and that's blogging so in September I made the decision I was going to quit work and do it as a full time job. I'll talk a bit more about that later in the post. When Spring came around, that's when things began to look up. My boyfriend and I moved into the most stunning flat just ten minutes outside of Manchester city centre and we've been so much happier since moving there. We didn't actually plan to move but we were spending a fortune on our previous flat and when this came up, we thought 'sod it, lets go and have a look'. When we went to see the flat that was advertised online, it wasn't big enough for what we needed so were a bit disappointed. However, the estate agent then said 'oh, there's a two bedroom flat that's not even online yet if you want to have a look' so we did and immediately fell in love with it. It has the two characteristics we both love in interiors - exposed brick and beams! It's everything I could hope for in a flat and is the perfect home for us while we're saving to get a mortgage on a house. It seems you guys have been loving it too as every time I put a photo on Instagram, it seems to go down really well. Thank you for such kind words about our home - it really means a lot that you love it as much as we do!! I also went on some amazing holidays in 2015 - Mykonos in May with my boyfriend was a total dream holiday and it was nice to escape the work issues I was having and really reflect on life and what I wanted from it. It was the perfect opportunity to escape everything and totally relax. We had an amazing time together and made memories that will last a lifetime. Mykonos will always be a special place to me for that reason as I think it's the time I realised a lot of things I wanted to change in my life. I'd love to go back one day! I also went on my first blogging trip abroad to Majorca in June which was SO much fun - I felt like I was a teenager again on a girly holiday and that's when I think Em and I really bonded - more about that lady soon. Those two trips were definitely highlights of my year. I had such an amazing time on both and hope to travel and see more of the world this year. Around the same time, I also started taking medication to control my anxiety which is something I was always really scared to do (mainly because of all the stigma that comes with it) but I'm so glad I found the courage to not be ashamed and do it as I've been living virtually anxiety free for the past six months. Don't get me wrong, I still have my down days and times when I'll freak out irrationally but I'm not living with it every single day and its no longer controlling my life and holding me back from doing the things I want to do like it once was. I know some people think medication is 'the easy way out' but after trying everything from counselling to hypnotherapy with no luck, it was almost my last hope. I've actually wrote a post all about how I deal with my anxiety and some self help tips I've learnt over the 11 years I've suffered with it so do let me know if you'd like to see that. As I mentioned earlier, I made the decision to take my blogging full time a few months ago and I think that decision became easier for me to make as my confidence grew and my anxiety issues slowly became more bearable and easy to cope with. After blogging full time for a few months now, I can honestly say it's the best decision I ever made and I've never been happier. I was always scared of not having a secure income each month but doing something I love every single day and having the freedom to do what I want, when I want, is the most amazing feeling and outweighs any doubts I ever had. I feel super proud of this blog so the fact I can now call it my career is just insane and something I never thought I'd be able to say. My blogging highlight of 2015 would definitely have to be being asked to be in Schwartzkopf's Live Cookbook campaign - it's been absolutely crazy seeing myself on a TV advert alongside bloggers I really look up to and my family and friends have all said how proud they are of me which is a really amazing feeling as all I ever really want from life is to make my loved ones happy and proud. I really hope 2016 brings more fun and exciting opportunities and that you all continue to enjoy reading my blog. I couldn't have done these amazing things without you guys supporting me along the way so for that I can't thank you all enough for reading, commenting or even sending me a tweet or liking my Instagram photos. It really does me a lot to me!! Who knows, I may even branch out into the world of YouTube this year. It's something I'd really love to try so watch this space. Any advice on how to film and edit videos would be appreciated too. Another of my blogging highlights would be spending time with Em who I'd now consider one of my best friends. We met for the first time 'in real life' (despite talking online for years) at the end of 2014 and we've been pretty much inseparable for the whole of 2015 and have had some amazing times together - that trip to Majorca I mentioned earlier being a highlight. I think it's so amazing that blogging can bring people together - it's definitely one of the best things about it!! I also passed my driving test in November which was a HUGE deal for me. I've been meaning to do it for years now since giving it up when I was 17 but I've always put it off because if I'm honest, I didn't feel confident in my ability to do it. However, I found an amazing instructor in Manchester (Leaps driving school if you're interested) and I stuck at my lessons for almost six months before passing at the end of November first time. I was so so so excited to pass as I never had confidence in myself (something I definitely want to change this year) and was so nervous on the day of the test. However, I passed with only five minors which I'm pretty proud of. Now I can't wait to buy a car - my boyfriend and I have already started looking and hope to have one by the end of the month, eep!! I had a look back at the post I did about New Years Resolutions last year and there was three things I wanted to do in 2015 and they were to save money, pass my driving test and keep pushing myself and I can proudly say I've done all of those things. I wanted to set myself fairly reasonable and achievable goals and I love that I've managed to achieve them all. My boyfriend and I are well on our way to saving for our first house together, I passed my driving test and I've definitely pushed myself. As I mentioned, I've been tackling my anxiety head on and I've never been to so many blogger events as I have in the past twelve months. I always used to be scared of attending them for the fear of being judged or feeling awkward but this year I've just gone for it and had some really fun times. I've never got the train to London so much which is something I'd have never dreamed of doing a couple of years ago so I've definitely come a long way!! Overall, despite a few lows and uncertainty at the beginning of the year, it's been an amazing year for me and I feel like big decisions I made have really paid off! I feel like a stronger and more independent person than I did twelve months ago and hope to continue bettering myself as a person over the next twelve months. If I've learnt anything over the past year it would be to have faith in myself and my abilities. I'm very much the kind of person who always doubts myself and never thinks I'm good enough but some of my achievements this year just go to show I can do anything I want to do when I put my mind to it. I think that's something we should all remember and try not to be too hard on ourselves or compare ourselves to others. My goals for 2016 are to keep pushing myself, work hard on my blogging, have a 'you can do this girl' kind of attitude, lead a healthy lifestyle and save enough money so my boyfriend and I can buy our first home together. If I manage to do all of those things, I'll be more than happy!! I hope you all enjoyed reading this more personal post from me - it's been nice to look back over the past twelve months and reflect on everything that's happened. I'd also like to wish you all a huge happy new year and all the best for the year ahead. I hope it's good to you!! Let me know what your biggest achievement of 2015 was!! I absolutely loved to read this post! I feel like yoh ad huge things happen to you, but that have contributed highly to who you are today. You've had amazing oppourtunities and t's nice to see their result is your happiness. Came across your blog this year and absolutely love reading it! It looks like you had a rough but rewarding year. Here's to 2016! 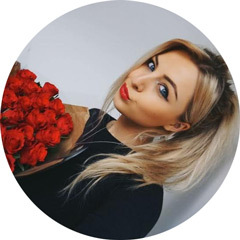 I love your blog so much :-) It's amazing that your reached all of your 2015 goals! I did a blog post on this too so i would love you to check it out, if you get a chance :-) and Happy New Year! Congratulations on passing your driving test and blogging full time. They're both big milestones and it sounds like overall 2015 was an amazing year for you, I hope 2016 will be for you too! Happy New 2016 year darling! 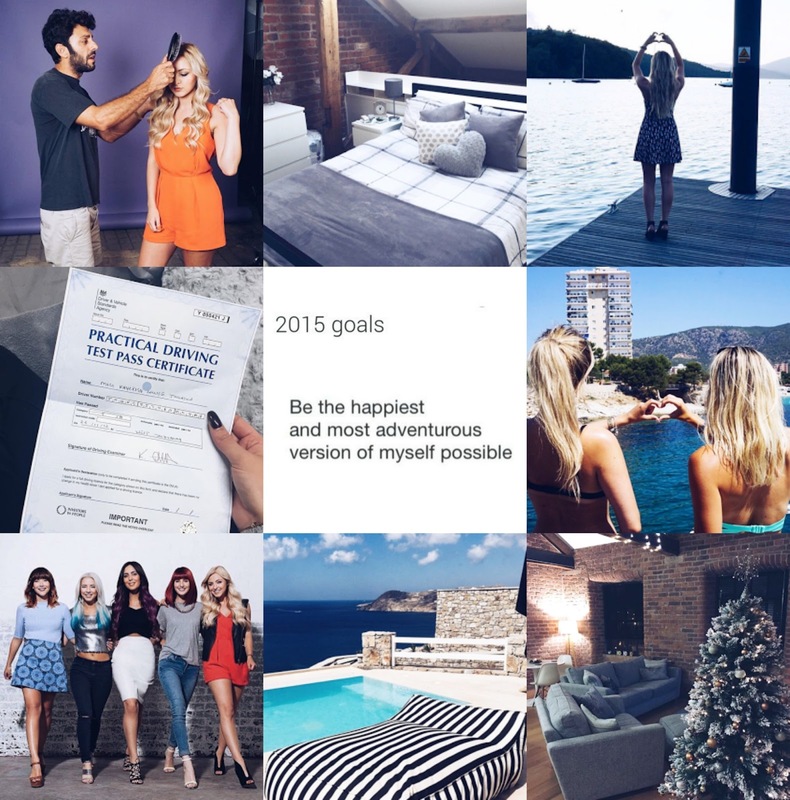 This was such an amazing post to read Kayleigh :) Best of luck for 2016! Sounds like you had a fab year! Hope 2016 is the same to you! What an amazing year! I must too get on with driving lessons this year...I had to quit mid 2015 due to a hip injury but I've been putting it off ever since. I hope 2016 is the best for you! I know how you feel. When I started 2015 I felt as though I was extremely unappreciated at university by friends, acquaintance, flatmates, ex-flatmates, ex-housemates, people in my life, etc, so around mid-2015 I cut them out of my life and I felt so much happier. I had always felt unappreciated all my life - my efforts and kindness were constantly being thrown back in my face - but 2015 was the year when I finally started doing something about that. Also, I would love to become a full-time blogger one day! I would love to turn my hobby into a job. But I understand the feelings you had previous - I worry about the potential lack of stability. Good luck with you in 2016. I am amazed by what you had achieved in the past 2015.